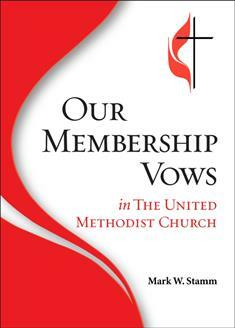 A resource for both newcomers to the United Methodist Church and those who have been members for decades, Our Membership Vows is a wonderful reflection on the vows each member takes upon joining the church. Members make covenant to uphold the vows, and each one is discussed in this easy-to-read booklet. A great gift idea for churches to give to new members.